This OEM customer is an Israeli global leader of integrated defense and aviation systems. The company offers a diversified array of innovative solutions at the leading edge of global technology, from underwater systems through naval, ground, and air superiority systems to space systems. Alexander Schneider was chosen by the customer to design a debriefing station that can be easily flown to various locations and be used for investigation and debriefing of commercial aviation incidents. The system was to include various commercial grade IT systems such as servers, switches and UPS. Design and manufacturing unique cable harnesses. A quick yet methodical process that included a PDR and CDR. Detailed engineering documentation to aerospace standards. Full Hardware integration up to the OS level. Use of COTS equipment for a rugged application including ruggedizing a standard COTS rack to MIL STD. 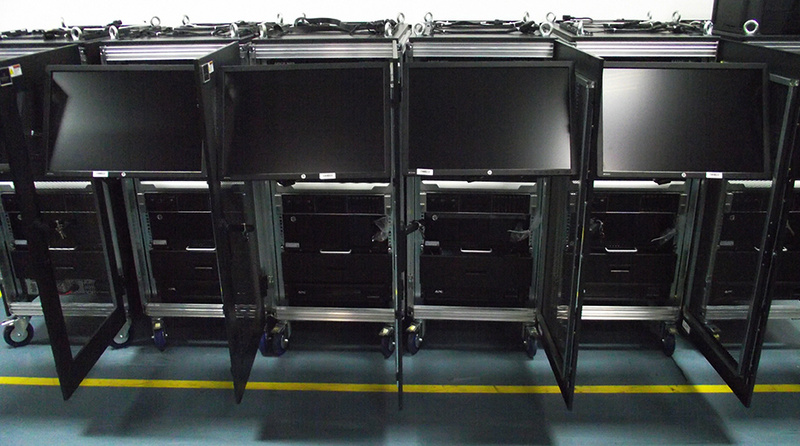 Engineering mechanical solutions to install in a 19 inch rack devices that are wider than 19″. In spite of the project’s high complexity level, Alexander Schneider successfully delivered it within due time frame, fulfilling all time, quality and design requirements.